The dragonfly is a silver toned ( not sterling) pendant strung on silky gray aurora borealis beads that have glimmers of fire in them. They are round and have a matte finish. 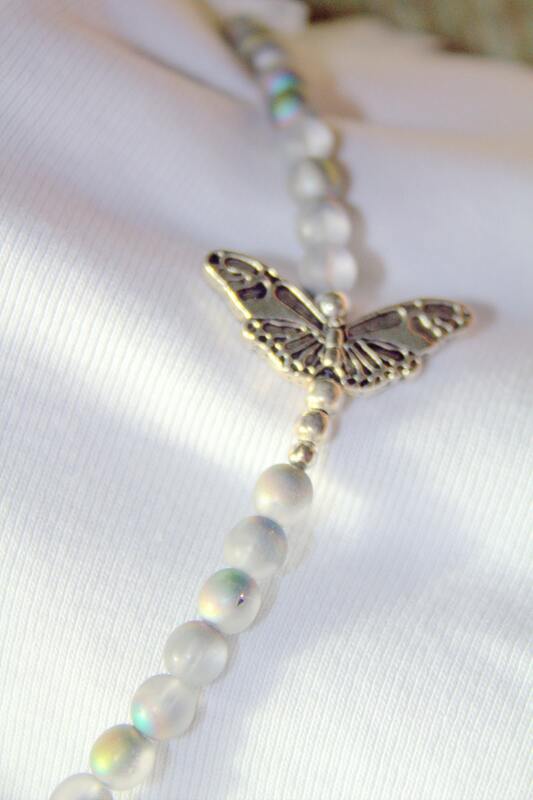 Two silver toned butterflies complete the circle on the side of the neck. There are Bali silver accent beads throughout the piece. A silver box and tab clasp with embossed flowers on the top completes the necklace. 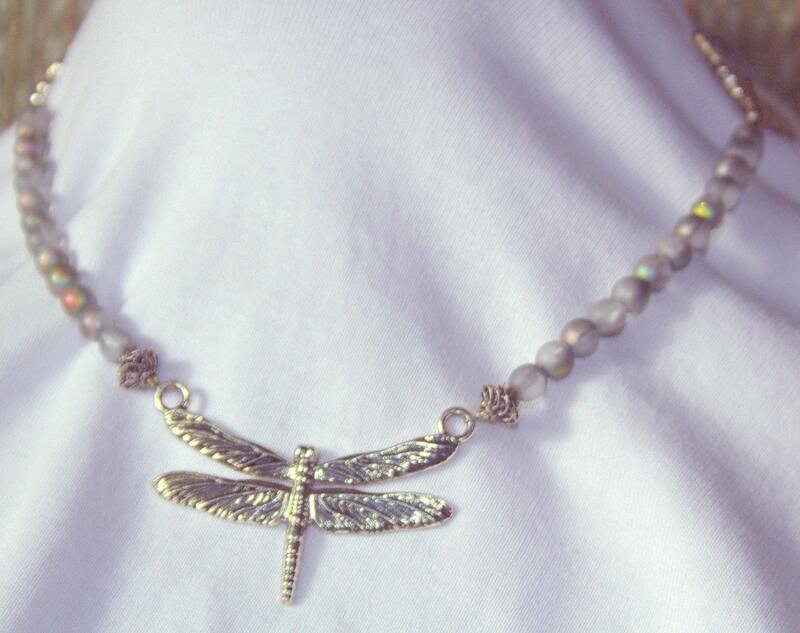 The necklace is @ 18" long and the dragonfly sits in the heart line of the neck.